Heres what I think the Rapids FO can be doing to make sure our club stays on top. Long time, no talk. Believe me: youre going to be sick of me by the end of the week. Heres a list of things I think should be on everyones wishlist in this offseason. Please note: this is not saying that I think theres anything that needs to be radically changed about the Rapids. The goal that I think all Rapids fans have next year is not to repeat 2010, but to exceed 2010. To do even better than we did before, heres my first foray into saying what exactly the FO could be looking into. Again, from a fans perspective. 1. 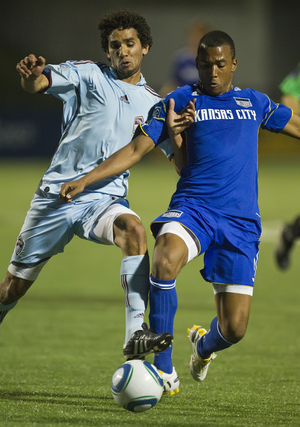 Retain the Core:The Core of the Rapids must be retained and rewarded for their performances in the 2010 season. This is a no brainer for fans. I hope the Front Office agrees with us. 2. Retain the Coach:Gary Smith is also attracting interest from European clubs. It�s no secret that he has the ambition to ply his trade as a head manager in his home country of England. Colorado has to make a move to make sure Smith stays with us to build on his success and his legacy with the club. 3. Players that I would like to see come to Colorado:This is the fun part: where we get to talk about who we want to see come to Colorado. Aside from whomever Smith is scouting currently, I think there are some important players we should be very interested in signing. Three in particular stand out to me. a. Mix Diskerud (Stabaek): Diskerud left a lasting impression on me when I saw him play in the friendly against South Africa. His link up with RBNY�s Juan Agudelo was simply fantastic. He has a great command of the pitch even at a young age. More importantly, he�d be a transformative player (like Jeff Larentowicz) for the Rapids. He looks to be a good playmaking midfielder, with the potential to only get better. The trouble with getting him would be offering the right amount of money to Stabaek, and him the right contract, and also making sure he�s happy with the soccer that is played in MLS. Does he see more opportunity to develop his skills here in American than abroad in Norway, Denmark, or the Netherlands? A last difficulty is finding a spot for him on the squad. 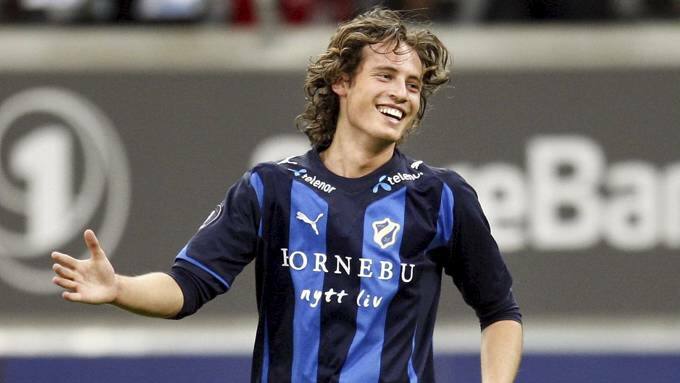 Diskerud would be transformative for the Rapids, in that we�d have a forward playmaker. This means either we sacrifice one of our strikers or one of our center mids. My thought is that when the situation or team calls for it, Diskerud could replace Pablo, and the Rapids could play a 4-4-2 diamond formation. Or a 4-5-1. Or... Well, it opens up a lot of possibilities for the team. This would be utterly transformative. Its asking for a lot. But I know what I�m asking for here, and I think it�s a smart idea to start looking into diversifying the Rapids� current portfolio of plays so the Burgundy can have an even better 2011 than 2010.
b.	Teal Bunbury (Sporting KC): Teal caught my eye when he scored a goal in the opening moments of our Open Cup victory over the Wizards. Then he dropped my jaw when I saw him replace Robbie Findley during that very same friendly against South Africa. The offense looked completely rejuvenated with him there. He�d be a great investment in the future for the Rapids (I could see him pairing well with Akpan or Amarikwa or Kandji) with the potential to pay off immediately. The difficulty with Bunbury would be getting him the starting minutes that he deserves. If the Rapids are going to take every competition seriously this year (The Open Cup, Champions League, and MLS Cup) then they need to have as much depth at forward as possible. This would also give us enough depth to start playing a VERY dangerous 4-3-3. Think about it: we�d have four speed and finesse guys: Bunbury, Amarikwa, Kandji, and Cummings. And two power forwards: Casey and Akpan. This could lend itself to some very exciting play at forward. I think we have the required toughness and depth in midfield to handle it. Diversify the portfolio. Which brings me to my next signing. c.	Brek Shea (FC Dallas): This was a controversial one. I say this and it makes people cringe. Brek Shea? Really? Yes. Really. The guy has incredible skill on and off the ball. Great movement and just seems to walk onto the ball and call the shots. Also has a vision for a good pass that is hard to match at his age. Plus, you can play him just about anywhere. This would help the Rapids both immediately and with depth. You could play Brek in the midfield on the Left, or at Left Back, or at Center Back. Which gives the Rapids all sorts of depth do to what they want. The difficulty with Brek is, to me, his lack of discipline. We all saw what happens when you frustrate him enough: he shuts down. The unspoken truth of the MLS Cup was that Brek was completely shut down by the clever defense of Kosuke Kimura and the toughness of Brian Mullan. This speaks to me of a guy who has a lot of talent, but not a lot of discipline and drive. It just seems like �yeah, I know I�m good, so what?� And I don�t think Hyndman has what it takes to really shape Brek�s attitude. His skills on the ball notwithstanding, he needs a coach who can really reach him. And I think Gary Smith and Steve Guppy have what it takes to bring Brek Shea to the level he needs to be. Otherwise he risks becoming the Mario Balloteli of MLS. I know Dallas fans are going to be after me for this one. "How dare you talk about Schellas like that! He was coach of the year! What do you know about what a players needs are..." I get that. I get all that. But I think that if Breks got dreams of going abroad to Europe, he needs a coach who knows what its like to play there and be there. Schellas does not know anything about it. Gary Smith and Steve Guppy do. And we have a partnership with Arsenal to boot. I know this is a controversial thing. But Im not just picking player who I think would be good for the Rapids, Im picking players who would honestly benefit from coming to Colorado. These are not meant to be rumors about whom the Rapids are going to sign, or even whom they are interested in signing. From my perspective, any one, two, or all three of these players (in addition to whomever Gary and the FO are looking at over the break) would be fantastic additions to the Burgundy and Blue.